A post apocalyptic action movie with lots of karate, guns, explosions, strange make up and Batman ( Adam West ) in the command centre. What's not to like? Well....nothing really, it's actually pretty good. In a B-Movie cheesefest kinda way. The Director Paul Kyriazi only ever directed 5 films. Mostly martial arts based. He's no Tarantino, but he delivers the action, he's not as in your face as Enzo G Castellari, but he's not a million miles away. I only have one gripe - now I'm a fan of 70s & 80s Grindhouse movies and as such, I love a bit of camera zoom to add some drama, but Kyriazi goes slightly overboard. Practically every scene features multiple zoom shots. A minor issue really. In fact what am I talking about? I love dramatic zoom. The story involves some kind of apocalyptic solar flares which seems to have wiped out most of the population. It's a bit vague and not really explored in much detail, but who cares. 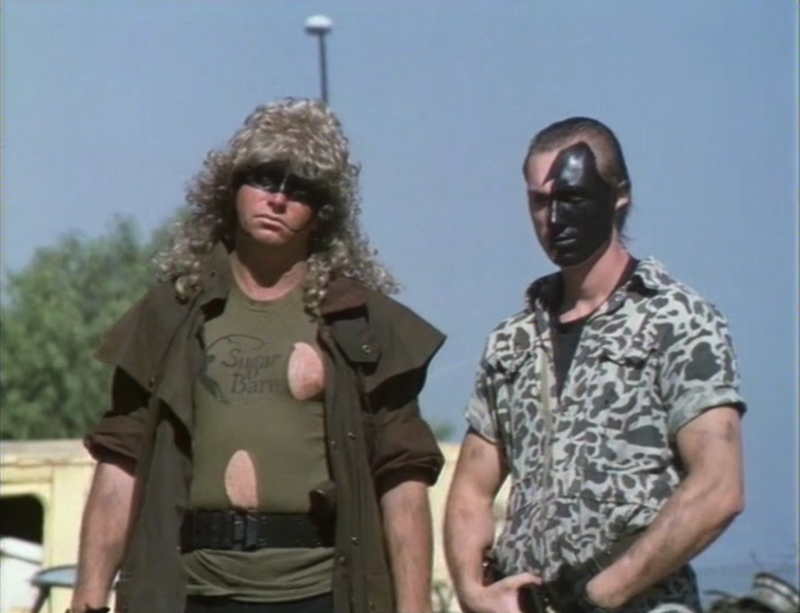 This movie seems to have taken influence from films such as The Bronx Warriors. Some of the makeup is identical. It works. 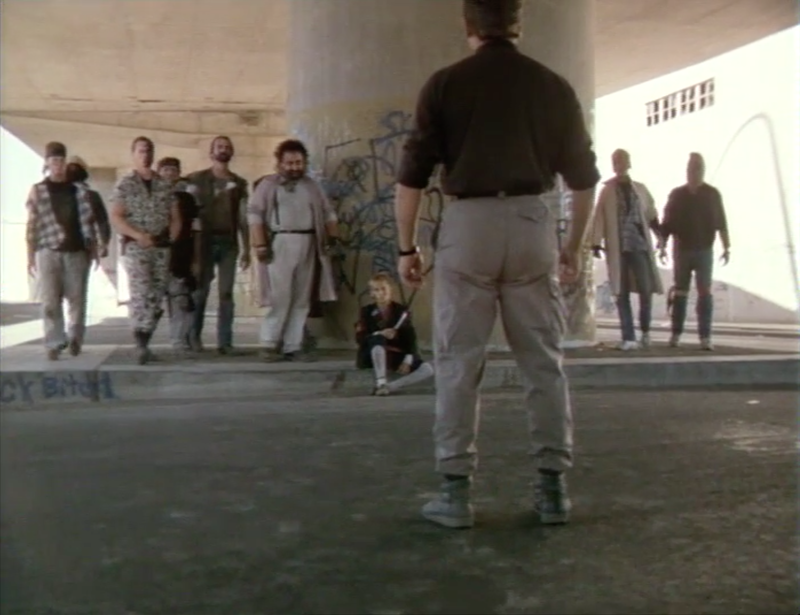 Where it fails to meet the grand scale compared to Bronx Warriors, it makes up for in action. The fight scenes are solid. Not quite as good as some of the other budget martial arts films such as the No Retreat No Surrender series, but a decent effort all the same. The supporting cast are all more than competent. The characters are well defined and they deliver their cheezy dialogue with pride. The two lead characters on the other hand leave a lot to be desired. Ronald L. Marchini who play John Travis comes across as a poor man's Chuck Norris ( Oh how glorious that would have been ) - He's a decent martial artist, but he's no actor. But again, this doesn't seem to matter. After the first few minutes, your brain begins to accept that the character actually talks like he's re-sighting lines and has a facial movement problem. No big deal. Chuck Katzakian who plays Wraith on the other hand, doesn't really have any redeeming features. He doesn't fight, he cannot communicate very well and he looks very hot in his leather Nazi SS uniform. Adam West has a small role as Travis's man on the radio, which works well and helps to break up the onslaught of running and fighting scenes. The costumes are good, nothing exciting but good enough. The sets are limited but again, good enough. It looks like they though about the locations and used the budget wisely. Most of the scenes are set in one of the Five locations. There are some continuity problems, which I suppose should be expected but some are just a little too obvious. Spoiler alert***** One at the end is totally ridiculous. 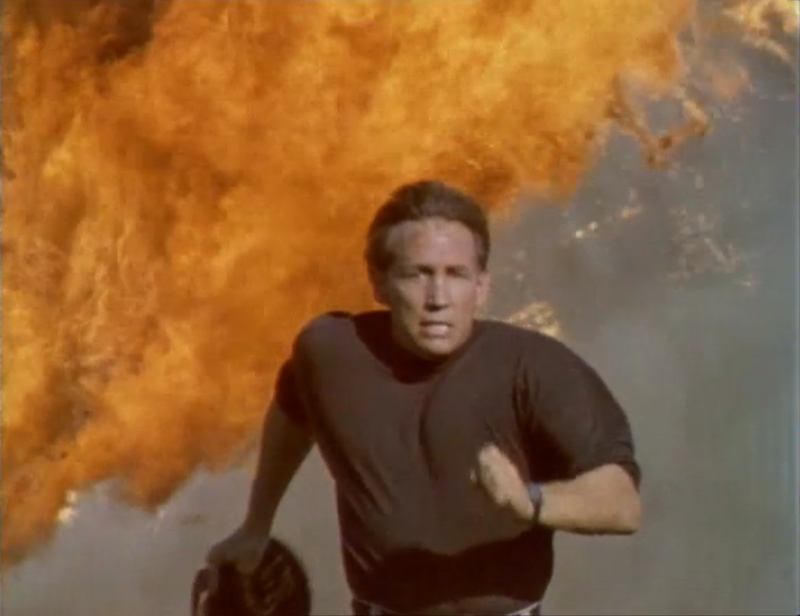 Travis Runs from an exploding building in boots, combats, shirt and cap. He runs towards the lake, he jumps in the air, he dives towards the lake in slow motion.......hold on......first we see that somehow, mid-air, his cap and shirt have dissapeared.......next we see that he still has khaki trousers on.....oh no....hold on.....they are shorts! !..........and he is now bare footed. All in all a hidden gem and definitely recommended for B-Movie fans. 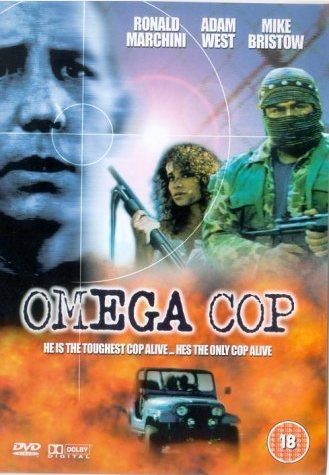 The UK DVD release that I have is a double film pack twinned with Psycho cop. There is no release information on the cover or disc at all. There is a sequel called Karate cop, by a different director which I will be reviewing in the coming months. Release Rating: 5/10 - Decent transfer, terrible artwork not extras.